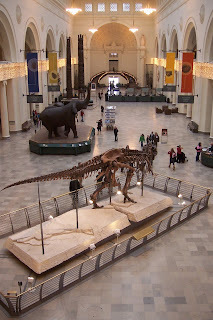 Musings of a Museum Fanatic: The Field Museum! For our first museum visit I want to take you to The Field Museum! 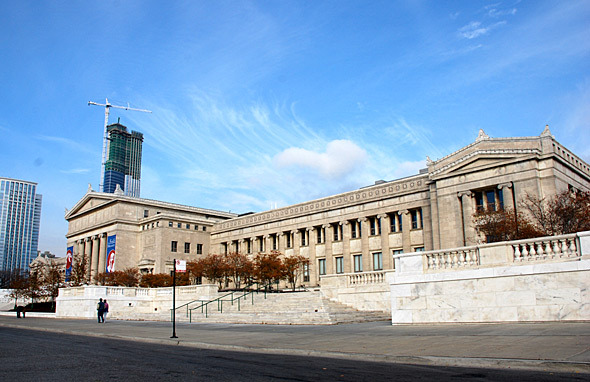 The Field has always been one of my two favorite museums in the Chicago area. Which is awesome since I've been an intern/volunteer there for almost three years now. I'm hoping if I'm able to hold out long enough I'll actually get a job there. The photo above is actually the view I see when I come in the days I'm there. It is so awesome to walk past that view! I love it every time. This is a photo of Stanley Field Hall. I took this one the first winter I was there waaaaay back in 2009. The photo doesn't do it justice cause it looks so neat with the lights up for Christmas. This past Friday Saige and I did a whirlwind tour of the Field. I made sure she saw the Must Sees! Two of my absolute favorite Must See things to see are the Tsavo Lions, the man-eaters, and Ancient Egypt. Evolving Planet is also a Must See. The project I started off working on was cataloging the digital artwork that was made for that exhibit! When you go through and see the images of the animals on the label copy those are what I worked on. I was given a box of CD's with terrible numbering systems (yes there were two different types on the CD's) and told to have at it. My fourth Must See at the Field would have to be all of the different stuffed animal dioramas. I know that type of exhibit is so old school (1920's old school!) but there are so many and they are so large you can find something new every time you walk by them. Just this past week I saw a little nest in one diorama I had never seen before! Now to give you a sneak peak of upstairs! Here is part of the main library area, I work here in the afternoon. This photo is from last year. I chose, pulled and installed the photos in that large case there. 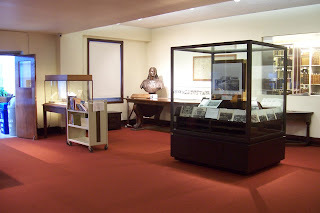 The large display in the middle of the case is actually still up in the library! I would highly recommend if you're ever in Chicago head to the Field. You can't go wrong just getting a basic admission ($15 for adults) there is so much to see without having to pay the extra for the special exhibits ($22 admission & one special exhibit). 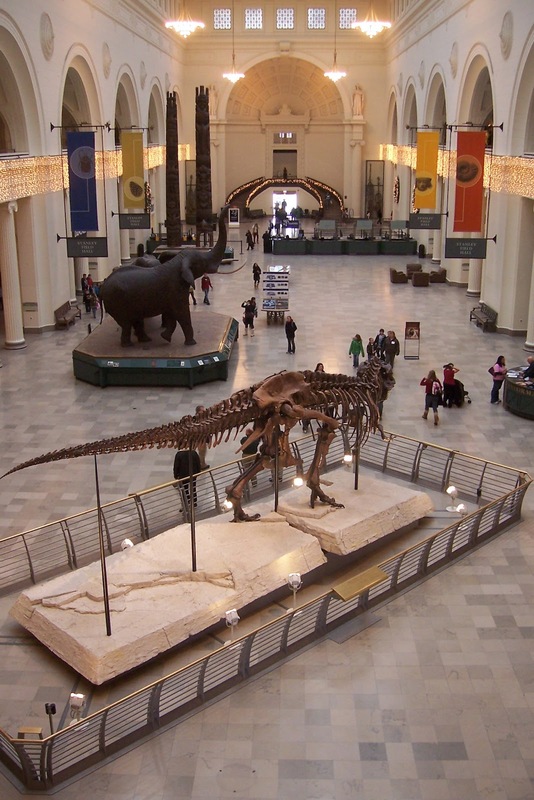 Out of the big museums you get the most bang for your buck at the Field without having to above the basic admission. Be sure to check out all the different free days and City Pass for great deals. I have a bunch of other neat photos and as soon as I figure out how to load a sorta collage I'll have those up for you!